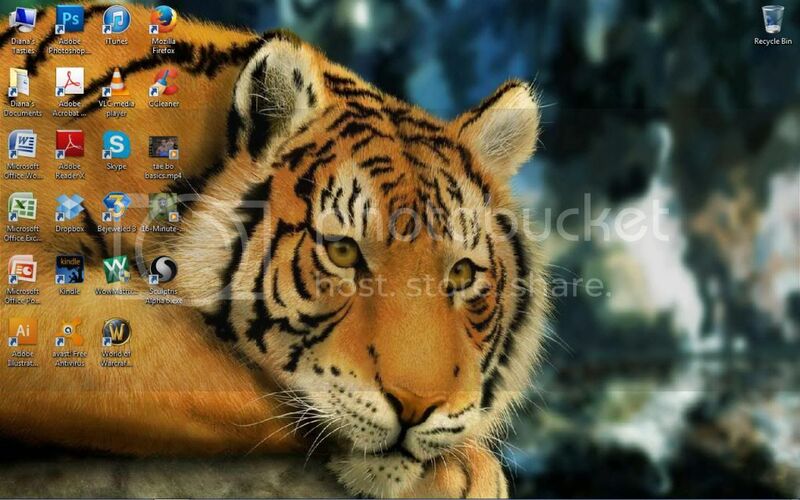 Screenshot of your desktop! - page 2 - tech talk - Furtopia | Family Friendly Furry Forum and IRC Chat! Re: Screenshot of your desktop! I'd be suspicious of that computer. Playing a song and displaying that desktop... and it's got 27% CPU and 54% RAM in use? Clearly hiding something. Both somewhat right, I guess. Previously known as Omni. Now known as mlatylorxu (catfox) or, at times, as mlatu (cat). 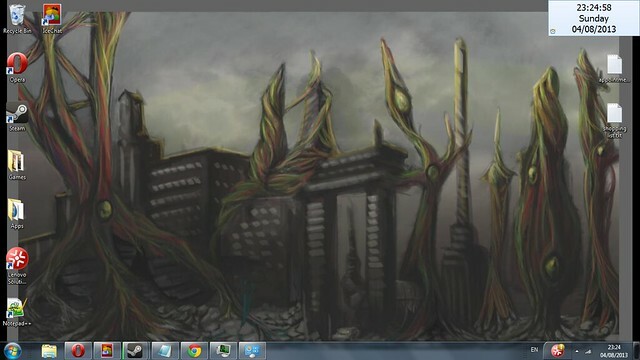 The background picture was drawn by a very good friend of mine by the name of Ayush, very talented artist (he has promised to email me the picture but at the right resolution for my screen, when he does I will replace this picture with that one but I like his art too much to not use it in the mean time). And the huge, glaring clock in the top right of the screen is my alarm XD Not pretty I know, but it does the job. i feel a pattern going on here, do you? Here is my dual monitor setup. Warcraft, Jazz Jackrabbit (dosbox), and Ubuntu with gimp running at the same time. I have a dual boot which also lets me run Ubuntu as the primary OS and Windows as the virtual. I often use this pic for my comp desktop background. One of the best models I ever put together. Took me five years. Good god, how big is that? The ship itself is 1/350 scale. Or about 32 inches long and 4 inches wide. 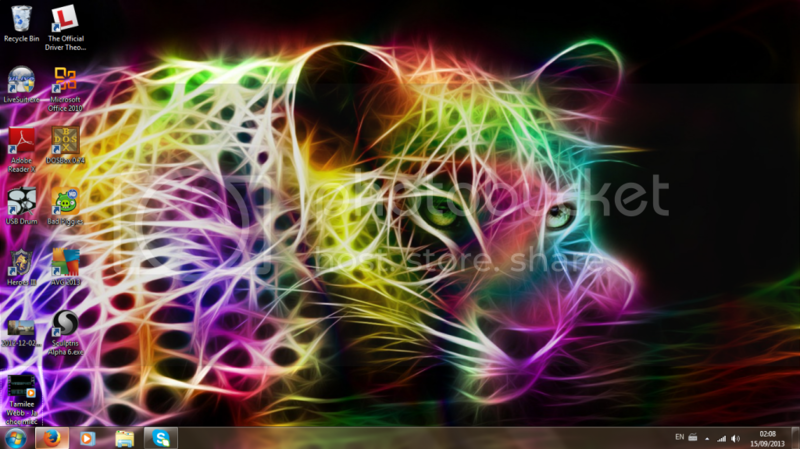 My screenshot of my desktop is an Leopard. Windows 8 I don't know why they are killing it already. Just remove metro and everything is ok. It's just a faster version of 7. 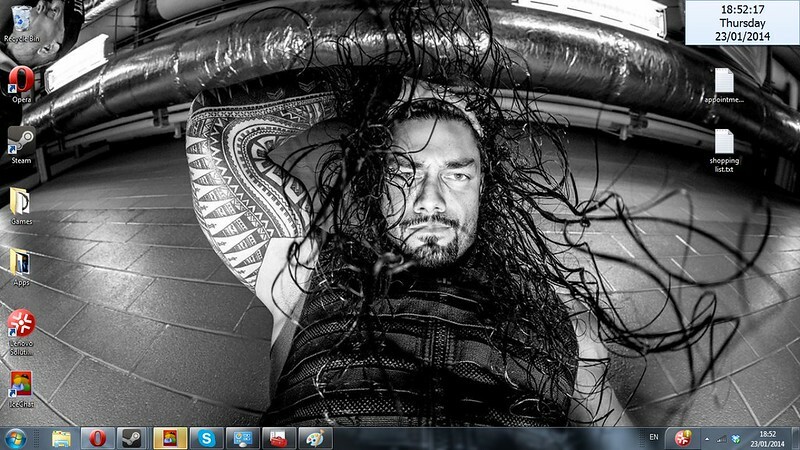 Looks at desktop* Yep. I need to kill some programs again. I don't use about 1/3rd of those programs.